As America withdraws from Syria, Europe is forced to take action. Iranian officials abruptly stood and stormed out of the room, slamming the door behind them. This was the scene when diplomats from six European countries gathered at Iran’s foreign ministry in Tehran on January 8. The Belgian, British, Danish, Dutch, French and German diplomats adamantly told Iran that they would no longer tolerate Iranian aggression via its sponsoring of terrorism on European soil and ballistic missile testing. “I thought you have come here to talk about your laxity regarding the Joint Comprehensive Plan of Action and terrorists who you have sheltered in Europe, and make apologies,” Iran’s deputy foreign minister Abbas Araqchi was quoted saying. “The meeting is finished,” he proclaimed, then stood and walked out of the meeting. The following day, the European Union sanctioned Iran’s intelligence agency, implementing its first since the 2015 signing of the Joint Comprehensive Plan of Action along with Iran, Britain, China, France, Germany, Russia and the United States. Though small, the sanctions were symbolic of a Europe hardening its position against Iran. Danish Prime Minister Lars Løkke Rasmussen voiced his support of the EU sanctions by stating, the “EU stands united. Such actions are unacceptable and must have consequences,” referring to Iran’s terrorist activities inside Europe. A Reuters analysis stated that these sanctions will “strengthen anti-Western sentiment in Iran and lead to more aggressive Iranian moves around the Middle East.” This is exactly what happened. Following the EU sanctions, Iran announced it would attempt to launch two new satellites into orbit using Iranian rockets. The first of these failed; the second has yet to be launched. On January 20, Iran launched a ballistic missile from Syria aimed for an Israeli ski resort. The missile was intercepted, but these two events show that Iran is not slowing down its aggression and ballistic missile development. In response, the EU threatened further economic sanctions against Iran should its ballistic missile development continue. U.S. Secretary of State Mike Pompeo said it himself, “[W]hen America retreats, chaos often follows.” That is exactly what we are seeing even now. Since the U.S. announced its departure from Syria, events have been intensifying. On December 19, United States President Donald Trump announced the U.S. withdrawal of military forces from Syria, declaring victory over the Islamic State terrorist network. Then on January 16, in an area that U.S. troops are set to withdraw from, the Islamic State attacked. Four Americans were among the 19 people killed in the suicide bombing. The attack was the most deadly against the U.S. in Syria since forces arrived in 2015. Mr. Trump’s claim of victory over the Islamic State may have encouraged the its attack, just as the EU’s sanctions may lead to more aggressive actions from Iran. The U.S. announcement of withdrawal is a sign of weakness to the Iranian regime and has only brought on increased aggression from Iran. Once the U.S. completes its retreat, who will fill the void? Right now, Iran is pushing to fill the gap left behind by the U.S. Wherever the U.S. leaves, Iran attempts to fill the power vacuum. But now the world is beginning to wake up to Iranian aggression and realizes it needs to act. It’s called “balance of power.” As Iran grows in strength, so will its opposition. Will Europe Replace the U.S. in Syria? The European Union is already struggling to deal with the millions of refugees who have arrived over the past eight years. The migrant crisis has destabilized the economies of many European nations. While the number of immigrants has plummeted to only a couple hundred thousand a year, once the U.S. presence in the Middle East is either gone or dramatically reduced, there will be even less stability in the region. Renewed chaos will cause more refugees to seek ways to immigrate to Europe for their own safety. Europe has no appetite for such mass refugees. It can’t support them. Europe’s best option to prevent another crisis is to intervene and provide stability in the Middle East. What if Europe decides not to intervene in the Middle East? It will only lead to more instability. One scenario is that Iran continues its aggressive policy in Syria and manages to obtain complete control of the Shia Crescent—a vast swath of land from Iran, passing through Iraq and Syria and connecting it to Hezbollah in Lebanon. This option essentially guarantees the destruction of Israel , consolidates Iranian power, and empowers an already aggressive Iranian military. In an alternative scenario, Russia expands its influence into the Middle East. Russia has already thrown its support behind Syrian President Bashar Assad by providing weapons and air support. However, ceding territorial control of the Middle East to Russia would further empower Russia, the historic enemy of Western European powers. Or in a third scenario, Europe could allow China to continue creating financial and trade deals with the Middle East. As a result, the Middle East would conduct more trade with Asia and less with Europe, which would further hurt Europe economically. Whether it wants to or not, Europe must fight for it interests in the Middle East. Two of the 13 multinational EU Battlegroups are always on standby for military rapid reaction. These 3,000 troops are waiting for a time when the 28-nation bloc decides which crisis to send them to around the world. Even though Europe may not have the same economic ability to fund as an elaborate endeavor as the Americans do, it makes up for it by having a smaller yet more well-trained and specialized force. This makes any military installment a cost effective option. The French call it “juste mesure,” or just enough to get the job done. Indeed it is important to now watch for Europe’s reaction to an American withdrawal.Considering the Europeans’ continued vulnerability to refugees from war-trodden Syria, and its growing understanding of the danger posed by Iranian hegemony in the Middle East, they might want to replace the United States at the Al-Tanf base. These events were foretold by the prophet Daniel nearly 2,500 years ago. He described a great clash in the Middle East between two dominant military powers, which he names “the king of the north” and “the king of the south.” Since Jerusalem will be the focal point of these events, the identity of these two powers must be seen in relation to Jerusalem. In Bible prophecy, “the king of the north” refers to a united European Empire, described as a beast power, to be composed of 10 nations or groups of nations (Daniel 7:24; Revelation 17:12). Today, I believe that much of the king of the south’s land area will be south of Jerusalem, but not all. … But all of the king of the south’s land area is south of the end-time king of the north. All indications point to Iran as the “king” of radical Islam. It is one of the few nations in the world with a religious leader as its head of government. Who else could it be in the end time but Iran? Iran is extremely radical—the king over radical Islam. Where is this nation’s pushiness leading? To war! Just as it has in the past. This prophecy is Daniel shows that Iran’s aggressive foreign policy will push this European Empire to retaliate against it. We are witnessing the beginning stages of this retaliation and will continue to see Europe harden its position against Iran as it fails to cease its aggression. Germany and France have already begun establishing military ties with Algeria, Jordan, Saudi Arabia and Turkey: So why not Syria as well? This military alliance between Germany and these moderate Arab nations is prophesied in Psalm 83. Bible prophecy says this alliance will help this mighty European military destroy aggressive Iran. As Iran continues to grow bolder and threatens to consume the Middle East in mayhem following the U.S. withdrawal, watch for Europe to become increasingly more involved in the region. 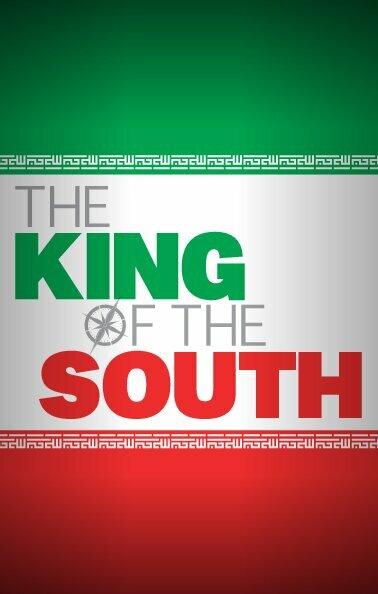 For more proof that Iran is the prophesied king of the south in the book of Daniel, request your free copy of The King of the South.